There are those who believe it is possible to create an entire grouping of dogs on nothing more than a similarity in appearances - such as pitbull type dogs (remember "pitbull is not a breed) - and claim that by sharing those apearances these dogs are predisposed to be aggressive and as such a public safety concern. This belief is translated into laws referred to as "Breed Specific Legislation", BSL. BSL laws make sweeping inferences on categories of dogs simply based on aesthetics and are, in effect, a discrimination that should not be tolerated in any form by any community. BSL is incredibly damaging to dogs, families, and communities; with the laws being purposefully or vague enough to extend to almost any breed or aesthetic of a breed. They irrevocably damage the ability for otherwise loving dogs to find good homes, be treated with respect, and often even their ability to simply live. They also negatively impact the lives of the humans who call them family, as they too become the target of hatred and abuse. Innocent people continue to be threatened, bitten, traumatized, disfigured, and killed by non-targeted breeds and types of dogs. BSL creates a false sense of security that the 'dangerous' dogs are gone so they don't need to be mindful of dog behaviour of proper etiquette when around dogs. Millions of dollars are wasted and animal control resources stretched thinin order to kills dogs - not save them. Abusive and irresponsible owners carry on being horrible human beings, doing horrible things to innocent animals. People who abuse animals are proven time and time again to move on to abuse children and other humans of all ages, races, generders. 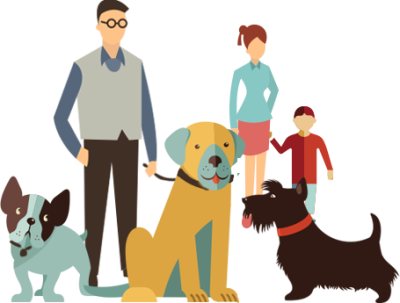 Good owners and thier families become outcasts, shunned by 'polite society' or devastated when they are forced to give thier dogs up in accordance with these laws. As a society we have collectivley agreed that discrimination is wrong; it IS unethical. To accept BSL is to abondon these collective morals and when we lose sight of this - what do we have left and where do we go from there? Where does the bias, cruelty, and injustice end.. There's an old saying that really stands true in the BSL argument: "You can find statistics to prove anything... 85% of all people know that". There are some compelling 'facts' on either side of the dicussion that both sides will adamantly argue the other can't prove. So rather than presenting a full set of data points - the savvy researcher can find those on thier own - I'm instead asking you to draw on your own personal experence and to critically read the above information published by the Montreal SPCA. In this website you will find some truly thoughtful information on why BSL doesn't work, the truth about dog bites and why they really happen, as well as research from around the globe from both government, animal welfare, and dog health experts. You will also find information on true and real prevention that will go a long way to ensureing everyone is safer while also maintaining an ethical, non discriminatory stance. 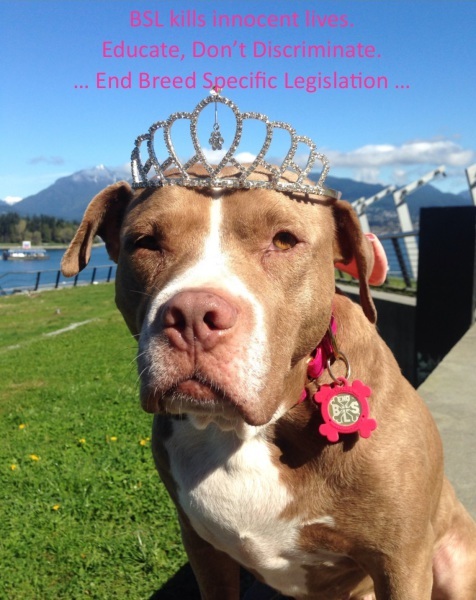 In an effort to put an end to BSL this organization has released it's own statistics and reserach as well as this truly fantastic, FREE, downloadable Toolkit entitled "Repealing Breed Specific Legislation: Moving Beyond Breed to Save Dogs and Strengthen Communities". We highly recomend this read for anyone wanting to chip in and do thier part. Can you truly and accurately identify 'breed'? : Generally speaking we rely on visual aesthetics such as body shape and stature to identify a breed. However, with the continued growth in the number of 'designer' dogs it is impossible to correctly identify dog as a single breed. Owners of 'pure bred' dogs will debate this but ultimatley, all dogs are a combination on multiple breeds. Breed or aesthetics do not determine a dogs ability to bite: The Coalition for Living Safely With Dogs and the Colorado Veterinary Medical Association conducted a joint two-year study about how likely any given dog is to bite. They concluded - not surprisingly - that all breeds bite and most likely are caused by the circumstances around the incident – usually an unrestrained, uncontrolled, frightened, or injured dog – that caused the bite. A downloadable PDF with plain language facts and important background information to use in talking to others about BSL.